Say Goodbye to Administrative Follow Up! 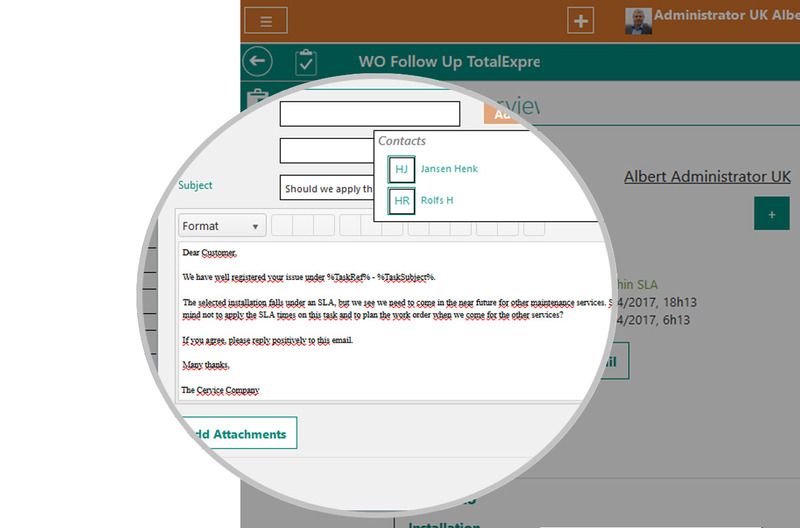 From the initial job request to the final invoice, your workflow depends on the digital work order. Use the intuitive and user-friendly Odyssee Mobile Service app. We notice once and again how quickly external service technicians have embraced the new application. Thanks to a comprehensive mix of automated processes and easy-to-complete reports, all administrative procedures are greatly simplified. Technicians need to register what we call the “invoicables”: mileage or driving time, working hours, used parts, etc. With the Odyssee Field Force app, all these relevant registrations are presented at the right moment to your technician. 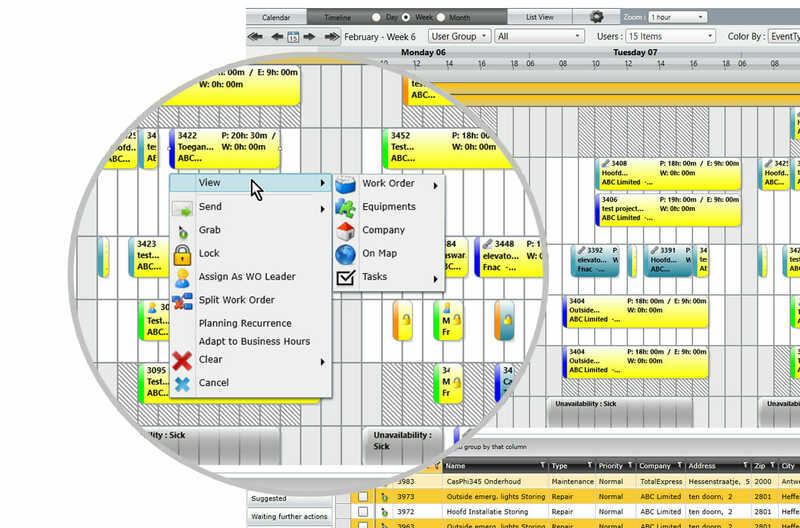 They don’t forget anything and you save your administrative team from an especially big chunk of work. 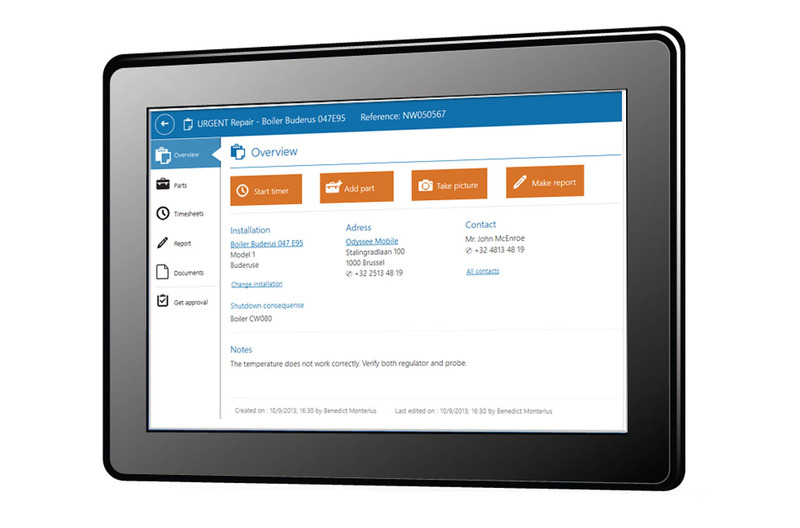 Checklists, documents and parts list can be created for every job. And they’re all easy to check off, with no typing required. All it takes is a single click for the technician to add pictures to the job, with the ability to tag them appropriately. At any moment, the technician can consult previous reports. 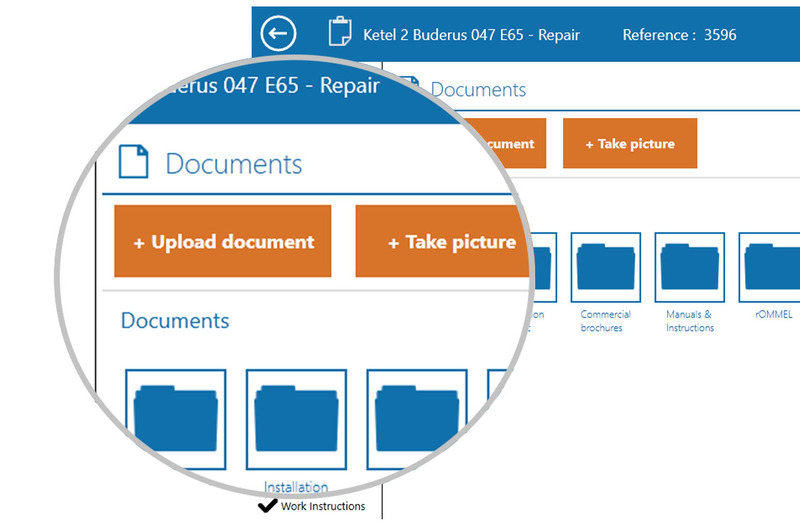 All documents on the installation, service history, photos and more are automatically supplied and linked to the assignment. Technicians have all the important information about the installation at their disposal. Completely offline. Moreover, they also know what is waiting for them: the cause of the malfunction, who reported the alert and who needs to be contacted on site. 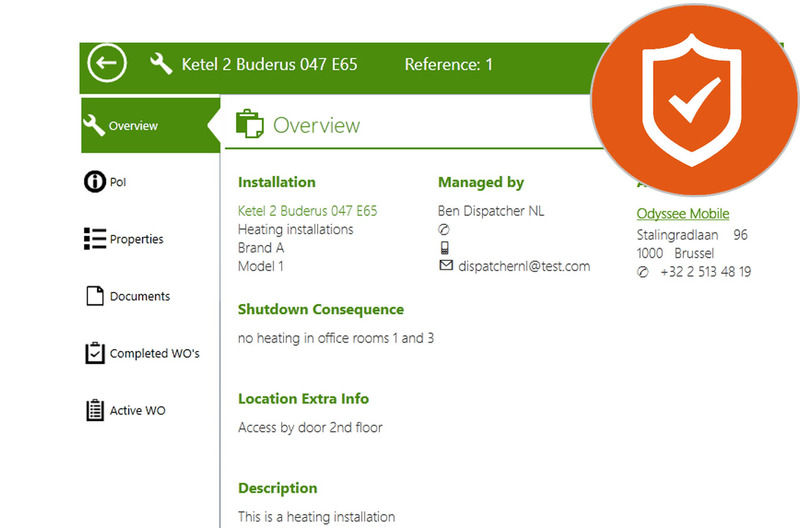 Your technicians can report everything digitally. If all parts and hours are registered, the technician fills in a report about everything that was done, anything the next technician should think about, etc. You and your technician decide what you share with the client and you can even include photos of the result. Is the technician unable to finish the job? No problem. A new task is created and the planner is immediately up to date on which actions need to be taken. 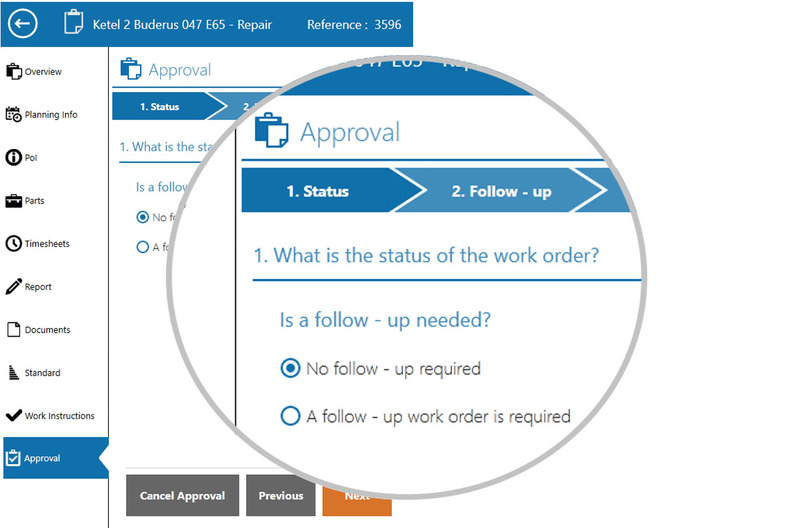 The system keeps track of the status of a job: completed, in progress, waiting for action, etc. This ensures there are never any jobs left ‘hanging’. 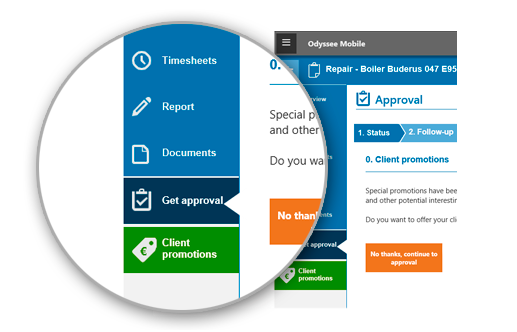 As soon as your client digitally signs for the approval, everything is sent through to the Odyssee Field Service portal and the client receives an overview in their inbox. All items neatly and automatically listed. You avoid discussions with the client thanks to the instant feedback. What do you do at locations with multiple installations that all need to be maintained at the same time? Does your client want to sign everything at once or is it better that every sub-job is approved separately? With Odyssee, this flexibility is built in. It saves you a great deal of manual work and increases your customer-friendly image. 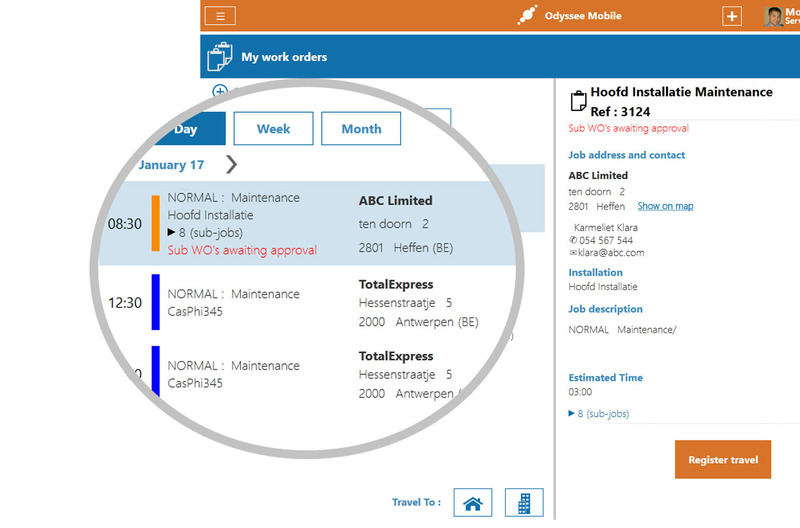 Using the form builder, you can make all kind of service reports. 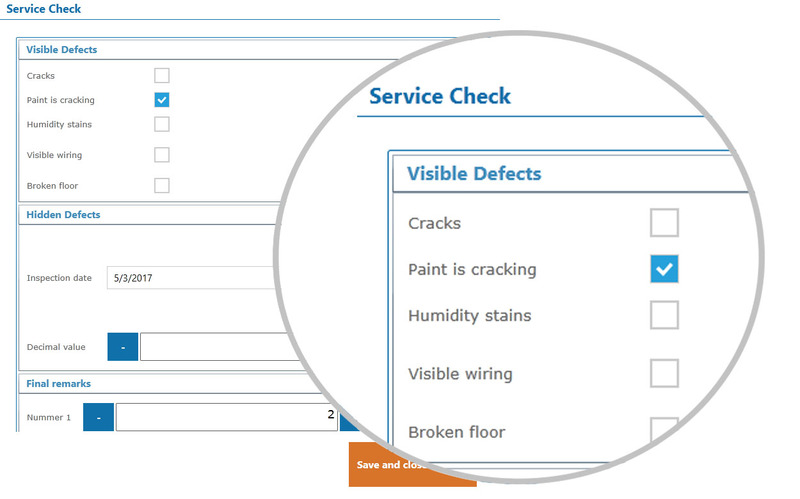 They make it simple for technicians to fill in information relevant to the installation or job at hand. You can fine-tune these templates for each job by using the right content and questions. 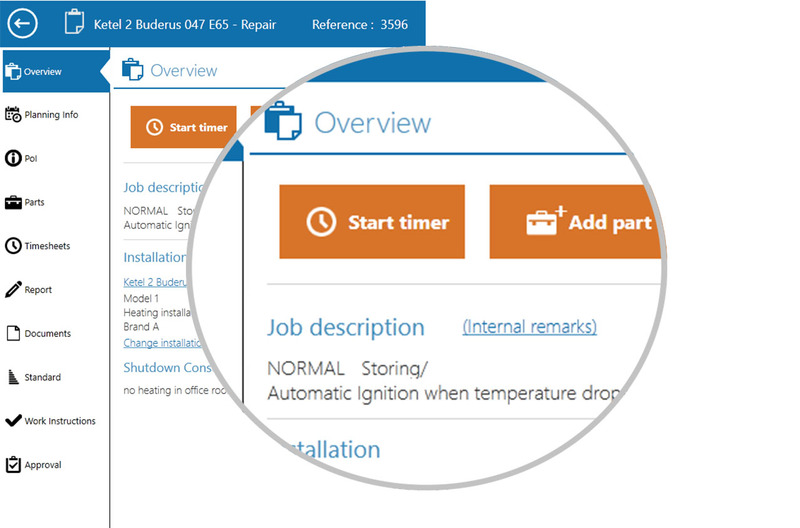 If you want to dive deeper into time registration or used parts management, click on the links below.